Brainwash Black Boys to Brilliance by Bernard Gassaway, Ed.D. I state the problem, offer seven strategies to address the problem, and conclude. Choose any major urban city and the data on Black boys is the same: Negative. According to one Harvard University sociology professor, prison is predictable for Black boys: “About two-thirds of African-American men with low levels of schooling will go to prison in their lifetime.” A 2015 PEW study revealed that even when the poverty rate slightly declined for most Americans, it remained relatively steady for Black children. In addition to prison, poverty, and poor schooling, negative stereotypes, statistics, and perceptions abound in the media about Black boys. Images of Black boys as being delinquent and defiant, wayward and worthless, uncaring and unintelligent, cruel and criminal, vicious and violent, stubborn and stupid, immature and incapable, dark and deceptive, a gangbanger and a goon, a thug and a terrorist, and unskilled and unemployed are ingrained in the psyches of millions of Americans. As these stereotypes are accepted, it becomes easier for people to literally and metaphorically destroy and kill Black boys with apathy or impunity. Some Black boys unwittingly embrace these negative portrayals and engage in reckless and dangerous behaviors. I contend that “they” intentionally indoctrinate Black boys to accept the negative stereotypes that have retarded and continue to retard their development. Jawanza Kunjufu’s classic work Conspiracy to Destroy Black Boys is as relevant today as it was when it was first published in 1985. President Barack Obama’s My Brothers Keeper Initiative was born out of the aforementioned reality faced by far too many Black boys. While the root causes of these alarming and often repeated statistics are the historic challenges of race, class, and economics, we can begin to implement strategies to redress many of the adverse affects of social policy and practices. I recommend the following seven strategies as a start. Brilliant, persistent, ambitious, sincere, motivated, bright, educated, courageous, tenacious, perspicacious, sagacious, adroit, thoughtful, gifted, conscientious, contemplative, spiritual, strong, diligent, tolerant, trustworthy, proper, determined, deliberate, insightful, intelligent, loving, caring, humble, prayful, enthusiastic, respectful, innovative, reliable, imaginative, and resilient. 2) Learn from the rhythms, beats and linguistics of hip hop music that have influenced youth cultures around the world to persuade and convince Black boys that they are brilliant. 3) Acquire knowledge from the National Basketball Association about how it convinces millions of Black boys that a professional basketball career is highly likely, even when the odds are astronomically highly not likely. Utilize techniques that advertisers use to sway and seduce children to buy expensive sneakers, electronic games, and food products after watching or listening to a commercial on television or radio to teach Black boys to believe in their brilliance. 4) Design curricula/lessons that can be taught in school, at home, and in the community to reinforce positive and enriching culturally relevant experiences that emphasize and instill pride in Black boys. 6) Develop action plans (engage community leaders, educators, parents, clergy, mentors, and brothers-keepers) to engage Black boys in experiences that require them to broaden their mental, spiritual, and physical horizons. 7) Provide Black boys with evidence of their brilliance by sharing information about their brilliant ancestors: Louis Armstrong, Ray Charles, Lewis H. Latimer, George Washington Carver, Imhotep, Charles R. Drew, Jesse Owens, Muhammad Ali, John Henrik Clarke, John Hope Franklin, Nelson Mandela, Haile Selassie, Toussaint Louverture, Hannibal Barca, Olaudah Equiano, Chinua Achebe, Benjamin Banneker, and Elbert Frank Cox. It is necessary to take control of our Black boys’ thinking. It is our moral responsibility to teach them how to think; in extreme times and circumstances, it is also necessary to teach them what to think. Remember our Black boys learn by seeing and doing. They need to see you behave as you expect them to behave. They need to see that you practice what you preach. They need to be actively engaged by you daily to counteract the subliminal and overt negative stereotypes that influence how they are perceived and how they behave. We need to do whatever is necessary to protect and nurture Black boys so they can grow to become healthy Black men. 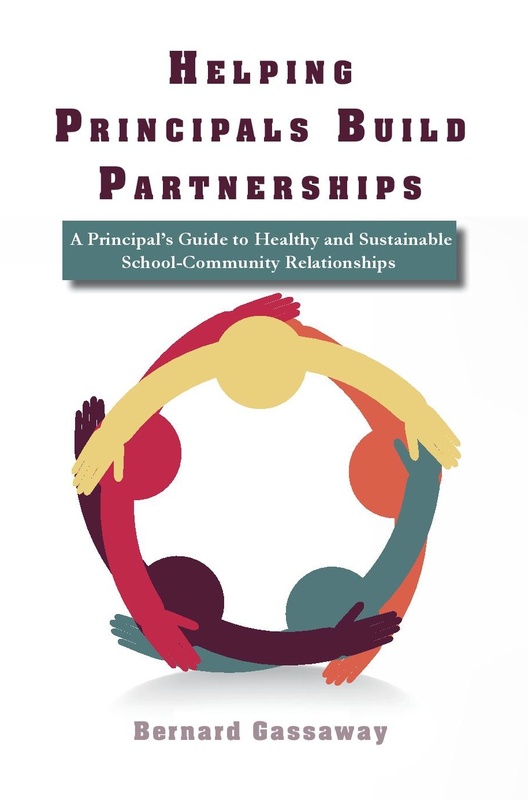 The purpose of the guide is to help principals learn what they need to know to build successful community partnerships in order to increase resources and opportunities and to improve student outcomes. 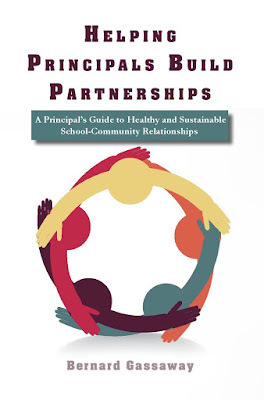 Principals will learn new skills and strategies to improve their current practice in school-community partnership work.